Missouri Star Holiday Gift Card Presenter - Missouri Star Quilt Co. - Missouri Star Quilt Co.
Stash a quilt shop in your pocket! Add a Missouri Star Gift Card to this gorgeous Presenter for a gift they're sure to love. It's perfect for the quilter who has everything. Makes gifting on the go easy! Carry it along for a present that travels light and makes a big impression. 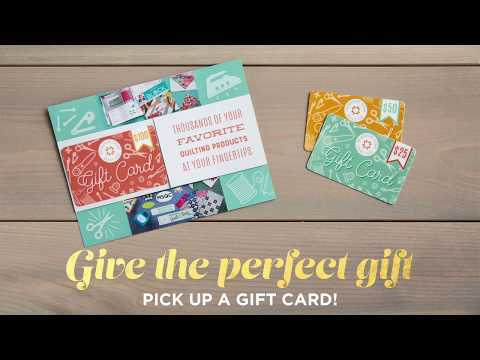 The Missouri Star Gift Card Presenter comes in an attractive craft envelope and includes 2 glue dots for attaching a standard gift card.